"It will be fought in the courts," Democratic Rep. Bill Pascrell told ABC News. House Democrats are girding for a fight over President Donald Trump's tax returns, one that will likely lead all the way to the Supreme Court. A team of four attorneys has been guiding the House Ways and Means Committee, which has the authority to request the IRS documents from the Treasury Department. They have been actively crafting what they hope will be an "air-tight" legal strategy to compel the president to hand over 10 years of his personal tax returns, working on the assumption their request will be challenged by the courts, according to a senior Democratic aide. "It will be fought out in the courts, and then possibly the Supreme Court," committee member Rep. Bill Pascrell, D-N.J., told ABC News. 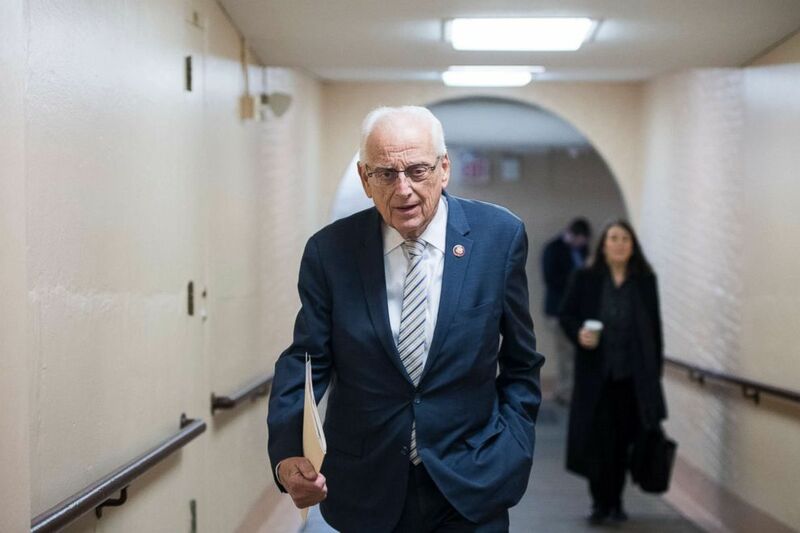 (Bill Clark/CQ Roll Call/Getty Images) Rep. Bill Pascrell, D-N.J., leaves the House Democrats' caucus meeting in the Capitol, Jan. 4, 2019. Trump’s refusal to make his tax returns public -– a move that broke with decades of tradition -- was a Democratic rallying cry during the 2016 campaign. Since the 1970s, most presidential candidates have made their tax returns public. Trump’s returns have remained a persistent fixation during his presidency, with his critics viewing the filings as a potential road map to possible conflicts of interest and tax evasion. During recent testimony, the president’s one-time personal attorney Michael Cohen alleged that Trump regularly bragged that he did not pay taxes. There are also questions over whether the president inflated his personal wealth. 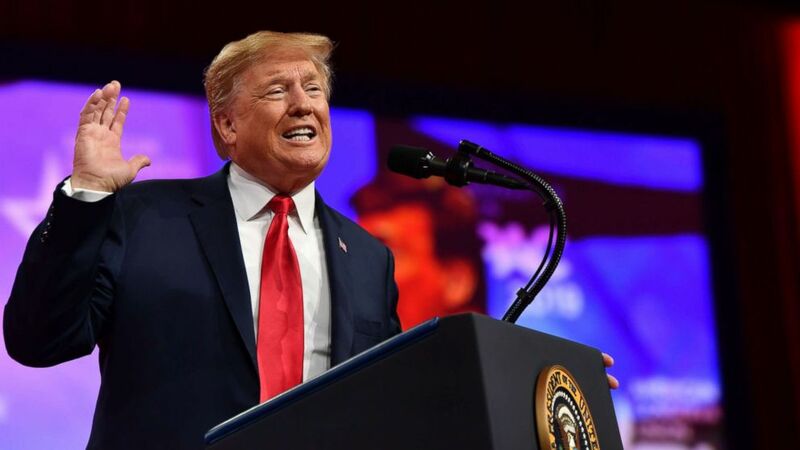 (Nicholas Kamm/AFP/Getty Images) President Donald Trump speaks during the annual Conservative Political Action Conference (CPAC) in National Harbor, Md., March 2, 2019. Cohen's bombshell testimony last week also accelerated the timeline for requesting the president's personal tax returns from the past 10 years, according to three Democratic aides. During Cohen's testimony before the House Oversight Committee, he suggested that Trump's tax returns would show if he committed tax evasion or inflated his income for insurance purposes. Trump has resisted releasing his returns, saying they are under audit. One of his attorneys, Rudy Giuliani, has said the president will fight any effort by Congress to obtain copies. Prior to the midterm elections, Treasury Secretary Steven Mnuchin and Ways and Means Committee Chairman Richard Neal, D-Mass., enjoyed a good personal relationship, according to aides to both men. Shortly after the midterms, the two met for a breakfast where they talked tax policy, but towards the end of the meal, the issue of President Trump’s tax returns came up. After Democrats took control of the House during the 2018 midterm elections, there was wide speculation that the party would use its new majority to pursue Trump’s returns, but during the breakfast meeting neither side laid out a clear position, according to the aides. As Neal has moved forward, aides have said the Treasury Department has given no clear indication of how it will respond to a committee request for Trump’s returns. “Secretary Mnuchin will review any request with Treasury’s attorneys for legality,” a Treasury Department spokesperson said. 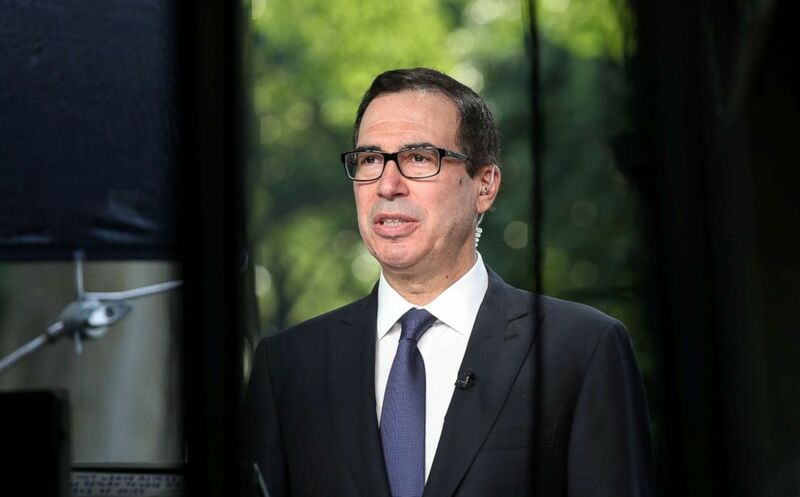 (Kevin Lamarque/Reuters) Treasury Secretary Steve Mnuchin speaks during a TV interview at the White House, May 21, 2018. The committee has not acted yet but is already anticipating resistance. The senior committee aide suggested to ABC News that Neal will likely have to submit one letter and then a follow-up letter if the Department of Treasury does not respond. Their third request will be a subpoena. This would initiate a court battle in District Court, and then if the ruling is appealed, it could end up in the Supreme Court. The upcoming request is likely to be a one-page two-paragraph memo, according to two Democratic committee aides. The committee aims to submit the letter in the coming weeks, with a self-imposed deadline of April 15, according to one aide. But if the Mueller report is made public before the letter is submitted, they will move to immediately make the request. "If we're going to court we need to lay out things that are very specific to indicate that the law is on our side, we want to make sure the facts are," Pascrell said. "This is why it's going to be very methodical." Through a 1924 provision in the tax code, the Treasury Secretary “shall furnish” any individuals’ tax return information “upon written request” from the chairmen of certain congressional committees. Once provided, the tax information can only be reviewed in a closed session by certain members unless lawmakers vote to make it public. In the opening days of the new congressional term, the committee sought tax returns directly from the Trump organization and Trump Foundation in addition to Trump's personal tax returns, according to two committee aides. But now, they are considering a direct request to Treasury for his personal returns from the past 10 years. If the committee wins that legal battle, they assume it will pave the way for Trump Organization and Trump Foundation returns. House Democrats are aware that the president's personal tax returns won't likely provide a roadmap to Russian relationships, if any exist, since the origin of the money is not stated. There's also a concern that the Trump Organization records could be overwhelming for the committee to analyze since it's entities are split into numerous limited liability corporations. Neal has been cautious about how aggressively to pursue the tax returns. He initially told reporters that he planned to wait for the special counsel's report to be made public before submitting the request. But there's been new pressure since Cohen's testimony from within the panel and from outside committees to make the request.